Recently, I started reviewing my LinkedIn account. No, this is not another article about how LinkedIn is going downhill. Nope. This article is about the power of saying 'thank you' to someone that has done or said something nice to you. I mean think about it. Two simple words that tells another person you appreciate what they have said or done. Two simple words that show you were raised right. I do not mean saying the words without meaning. I mean looking the other person in the eye and letting them know you mean what you say or sending a note to someone that does that very same thing. I am often amazed at how people spend so much time teaching their children to say 'please' and 'thank you', but do not actually practice what they are teaching or seldom do. Think about it. How do you feel when you do something as simple as hold the door open and the person you hold it for does not even bother to say 'thank you'. It puts you in slightly bad mood doesn't it? On the other hand, when someone does actually say 'thank you', don't you feel better about your day? I do. Simply because it is the small things that can make a difference. Which brings me to my point here. 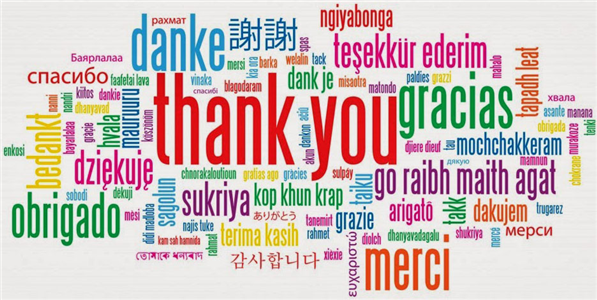 When people take the time to send you a personal note about a new job or a birthday or an article you have written, anything, you should be appreciative enough to respond with a 'thank you'. I realize someone may be so popular that doing so could be a job within itself. In that case, it is more than acceptable to post a single 'thank you' to everyone. This is not graciousness, this is just common decency and helps to keep your network engaged and intact. For one, I am going through my messages and seeing who has yet to respond to someone I have said or done. For those that have not responded, I am removing them. This may seem like a petty decision, but if a person is incapable of practicing such a simple thing, do I really need that person in my network? Just a simple reminder that people are watching and making mental notes and those people may not even be directly involved.